Renault broke a gentlemen’s agreement between the teams when they protested Haas’ VF-18 in the wake of the Italian Grand Prix; that’s according to Guenther Steiner. 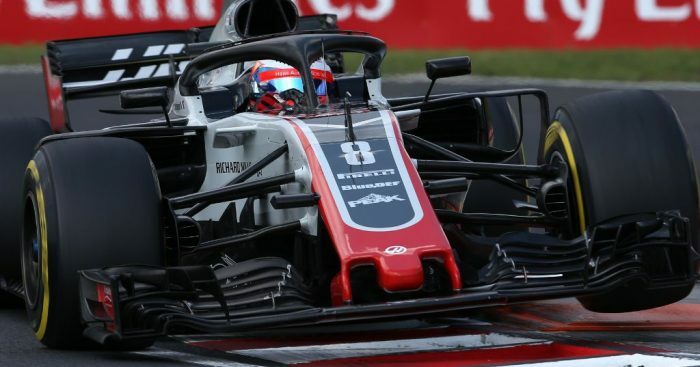 Haas’ Romain Grosjean raced to sixth place at the Monza circuit, however, the celebrations were cut short as Renault protested the legality of the floor of the VF-18. Haas were disqualified as the floor did not adhere to a technical directive issued by the FIA. Renault’s Carlos Sainz moved up from ninth to eighth place and the Enstone team held onto fourth place in the championship ahead of Haas. “My opinion is that for a long time there was not a protest after the race – it’s a long, long time [since the last one],” Steiner told ESPN. “I’m a little bit surprised but then I’m not because what would do you do? “I wouldn’t have done the same. I would have done what other people have done before. Asked if he was referring to a gentlemen’s agreement between the teams, he replied: “Absolutely. “They can say [before the race] if this is not fixed, we are going to protest you. That’s what I was talking about because it was before my time the last time this was done. Haas’ appeal will be heard in Paris on November 1 with Steiner admitting he’s not certain it will go in his team’s favour. “It’s a 50:50, it could go both ways,” he told Autosport. “I would never say I was a confident winner, because you never know what is happening. “You have no control on the decision, you do the best you can with your lawyers and technical team to explain what happened, the whole process, and why we ended where we were. He added: “It is very complex. “It’s a technicality which goes hand-in-hand with procedures which were not followed correctly, not only from our side, but somebody else. “It’s a mix of technical regulation, interpretation, ambiguity, information. “I think the stewards didn’t understand what we tried to explain, and therefore they disqualified us.